In the months before deadly flooding in Texas killed at least 24 people, some of the state's politicians objected to the imposition of stricter building standards for federally funded projects in floodplains. Engineers said that such standards are needed if taxpayer money is not to be flushed away in the next flood. An executive order from President Barack Obama, which has not yet been put into effect, substitutes a tougher flood risk standard when federal money is used to build or rebuild in the flood-prone areas. U.S. representatives from Texas and elsewhere questioned how the order came about and whether as a result the administration's action was legal. And if the order takes effect, many communities would be ineligible for such federal programs as port development projects, hazard mitigation grants and federally backed mortgages, the critics argue. “The negative impact would likely dry up economic investment in these areas,” read an April 22 letter from 55 members of the House, including Rep. Pete Olson, a Republican whose district borders Houston, and 12 others from Texas. An earlier letter signed by eight U.S. senators, including Texas Republican John Cornyn, similarly criticized the procedure that was followed in Obama's executive order. But flood control experts said the more stringent standards are necessary to ensure that rebuilding in Texas is more resilient to future flooding, especially as the state asks for costly federal aid. Obama has already declared the recent flooding a disaster and promised that requests for aid would be expedited. “Taxpayers are going to be asked, yet again, for disaster assistance funds to repair and rebuild,” said Chad Berginnis, the executive director of the Association of State Floodplain Managers in Madison, Wisconsin. "If the new standard was in place for this event and for all future events, we could ensure that the American public is getting a much better return on investment." 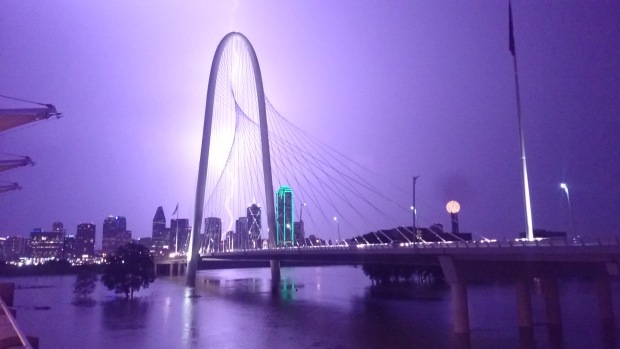 Texas received a “D” in flood control in a 2012 report on its infrastructure by the state’s section of the American Society of Civil Engineers. It ranks among the top states in the country in dollars paid for flood claims — behind Louisiana and New Jersey and ahead of New York and Florida. But it still has no statewide floodplain management plan. Flood mitigation is divided among three state agencies, none of which has full authority to implement capital projects or manage the state’s 23 river basins. 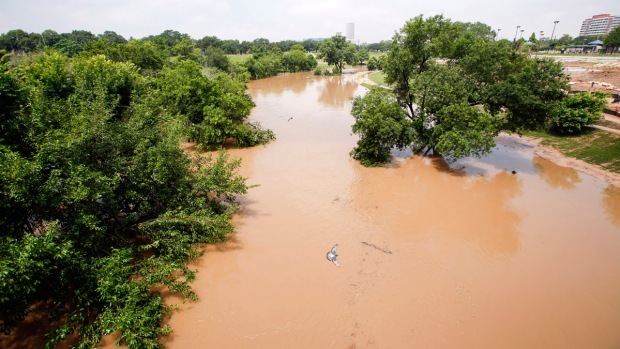 The report warns that the population of Texas is expected to double in the next 30 to 40 years and development in the floodplains will likely increase, both of houses and commercial developments near the state’s streams, rivers and lakes and along the Gulf of Mexico. Texas is also not a participant in the National Flood Insurance Program, though many of its communities are, the report notes. Standard homeowners insurance does not cover flooding but residents can get insurance through the program provided their community participates. In return communities agree to meet or exceed Federal Emergency Management Agency requirements for reducing the risk of flooding. Between 1978 and 2011, the FEMA paid nearly $5.5 billion in payments for 237,251 flood loss claims in Texas — payments that accounted for more than 13 percent of the total dollars paid in the country. The executive order, dated Jan. 30, grew out of the country’s response to superstorm Sandy, part of the president’s plan to improve the country’s ability to withstanding flooding and prepare for the effects of climate change. Federal agencies are directed to select one of three approaches for establishing flood risk: using data that integrate current and future changes in flooding based on science, setting the hazard area at 2 or 3 feet above a 100-year flood elevation or setting it at a 500-year flood elevation. The executive order now in effect, which was issued by President Jimmy Carter, directs federal agencies to avoid the adverse effects of building on floodplains and to choose an alternative when possible. The new standard for the first time asks agencies to consider climate change and future development when choosing a protection standard, Berginnis noted. Flood maps have traditionally used past and current data as well as historical flood records, he said. But as methods improve -- for example the ability to predict sea level rise has gotten better over the last decade -- agencies might want to use the best available climate science approach, he said. Rebuilding after Sandy was not impeded by tougher standards put in place for areas hit by the storm, he said. And though a tougher standard will be more expensive to start, insurance will be cheaper, buildings will be more resilient and federal funds will likely be available for improvements, he said. A spokeswoman for Olson, Melissa Kelly, said that he was not opposed to federal standards for flood management, but the way that the executive order was put in place. Olson thinks communities that are directly affected should have a say in any changes made, she said. He and the other lawmakers said the administration should have gotten opinions from governors, mayors and others before drafting the order — as ordered to by Congress. Sessions to gather public comments, including from governors and mayors, were held through March and April and guidelines for executing the order are now being revised. Agencies will not make changes to existing regulations until the federal Water Resources Council issues amended guidelines. The Fort Bend County judge, Robert Hebert, the county’s top administrative official, said that the county’s levees held up well during the rains. They were built to federal standards but with local tax money and are maintained with local funds. “This executive order as proposed, it’s very unclear as to how it would be applied,” said Hebert, who has written to FEMA with his concerns that the new standards will go beyond federal construction to encompass disaster preparedness assistance, federal highway aid and other funding. If the tougher standard is applied only to federal property, he said he had no objections. "But it doesn't say that," he said. "It doesn't restrict the order to that function." 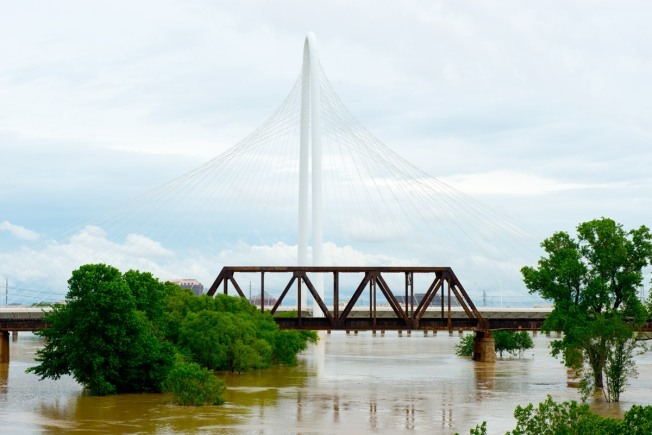 Carol Ellinger Haddock, the senior assistant director in Houston’s Infrastructure Planning Branch, was part of a team reporting on the need for a national strategy for flood risk management. The federal government is very good at helping people recover from floods, she said. “But the opposite of that is all the land use decisions are made at the local level," she said. Decisions on where buildings can be constructed in flood-prone areas and how are set at the local level and those can vary between communities, she said. Texas has to balance property taxes and other benefits from building with keeping people and buildings safe. "When the flood comes, it doesn’t respect political boundaries," she said. A strong attachment to private property rights has gotten the United States into a cycle of spiraling flooding losses, said Nicholas Pinter, who in August will join the Department of Earth and Planetary Sciences and Center for Watershed Sciences at the University of California, Davis. Mitigation is far more expensive than avoiding floodplains in the first place, he said. After massive flooding along the Mississippi and Missouri rivers in 1993, the country spent $87 million in taxpayer funds to remove flooded structures, and stayed off the floodplain for three to five years, he said. But 10 years later, $2.2 billion of new infrastructure had been built on land that was under water. “That’s the problem, it’s one step forward, two steps back,” he said.